New guidance on diagnosing and managing the physical complications of alcohol use. According to statistics published in May by NHS Digital, there were an estimated 1.1 million hospital admissions where alcohol was the primary or secondary issue in 2015-16 – the highest ever recorded and up from 670,000 a decade earlier. In the UK, it is estimated that 24% of adults drink in a hazardous or harmful way, while around 9% of men and 4% of women show signs alcohol dependence. In April, the National Institute for Health and Care Excellence (NICE) published updated guidance on diagnosing and managing the physical complications of alcohol use. Originally published in 2010 and covering the care of adults and young people aged 10 and above, the guideline provides recommendations on managing acute alcohol withdrawal and the treatment of alcohol-related conditions, such as liver disease and pancreatitis. It includes updated recommendations on corticosteroid treatment for people with severe alcoholic hepatitis. A person may be misusing alcohol if they regularly exceed the lower-risk daily limit for alcohol consumption, are sometimes unable to remember what happened the night before, or fail to do what was expected of them due to drinking, such as missing an appointment or not going to work. 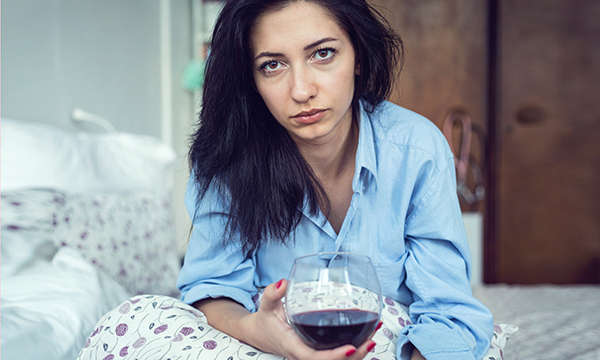 Signs of alcohol dependence include having a compulsive need to drink and being unable to stop, wanting to drink in the morning, and suffering withdrawal symptoms such as sweating, shaking and nausea, which stop when alcohol is drunk. Alongside smoking and obesity, alcohol is one of the three biggest lifestyle risk factors for disease and death in the UK. Among the many serious health conditions where risk increases are cancers of the mouth, throat, stomach, liver, bowel and breast, strokes, and liver and heart disease. According to recent data from the Office for National Statistics for England, of those aged 45 to 64, 60% of women and 69% of men had drunk alcohol in the past week, the highest proportions of any age group. According to the charity Alcohol Concern an estimated 7.5 million people are unaware of the damage their drinking could be causing. Nurses can play a crucial role in educating and advising patients about safer drinking limits, including explaining how units of alcohol are calculated. They can also talk about the negative effects of harmful alcohol consumption, encouraging patients to seek support. ‘What’s good about the NICE guidance is it gives us pathways of different presentations, from lower risk drinkers to those who are drinking heavily. There’s a stereotypical view of what a drinker drinks, with most people thinking spirits or strong ciders. But 95% of the people I see have a problem with wine. There’s a subliminal message that a glass of wine is good for you, but we forget that wine is incredibly strong and can easily become routine.